He may not be the largest fruit grower in terms of size, but few can beat Mark Eastwood for attention to detail. 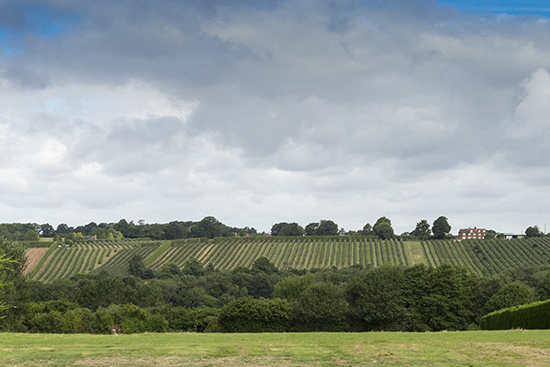 "Fruit growing is a high risk crop," he says, driving me around his neat orchards near Tonbridge in Kent. Eastwood, who specialises in apples and plums, has a reputation for the consistent high quality and size of his fruit. 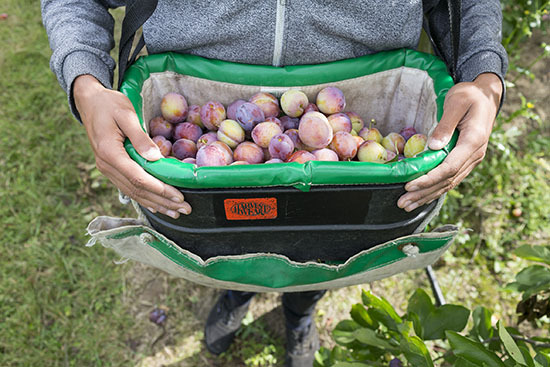 "We're packing twice as much fruit as we used to," he says. 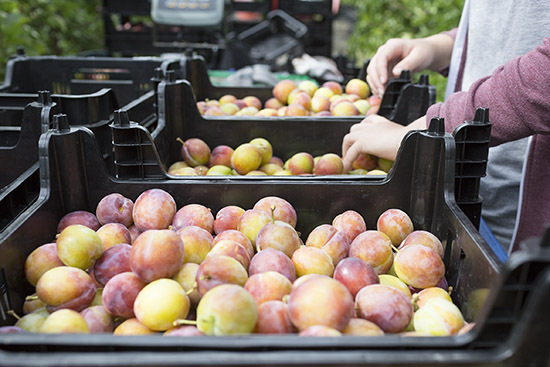 On a good year, this equates to over 800 tonnes of apples and 30 tonnes of plums. Eastwood is a third generation farmer. 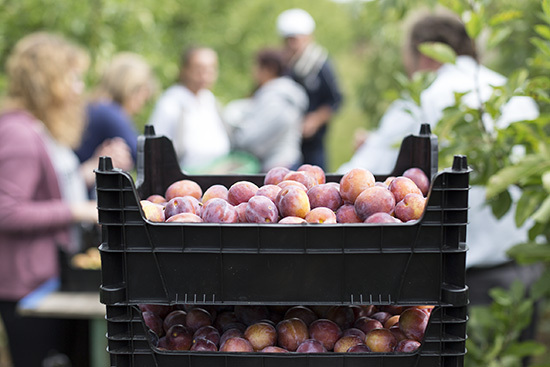 His beautiful farm covers 40 hectares, with 25 hectares of apples and 1.5 hectares of plums. This is the start of his busiest period, with teams out picking and grading most days. "There's always something to do in an apple orchard," he adds. 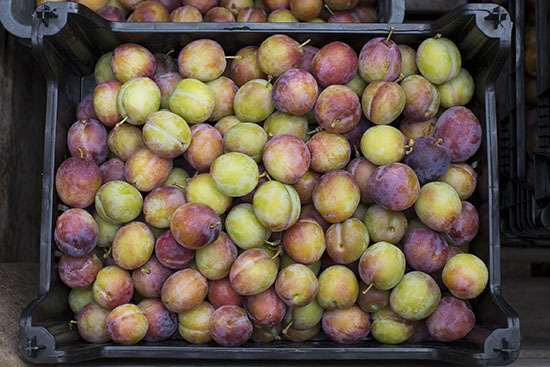 Opal are the early plum variety; now, in the last week of August, Victoria are just hitting their stride. Last will be Marjorie's Seedling. 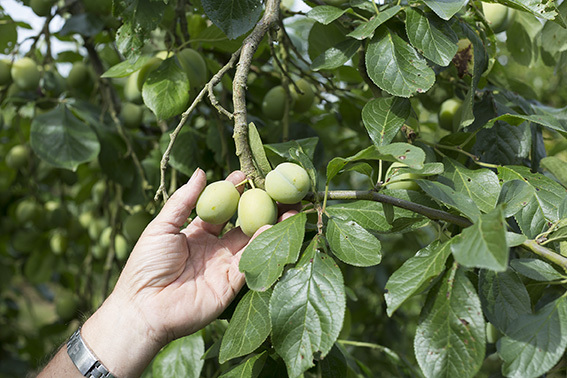 The picture below shows Victoria plums ripening on the tree in early August. For apples, Discovery is the first in line. Next up are his Early Windsor, Worcester, Spartan, Egremont Russet, Cox, Gala and Braeburn. Eastwood's grandfather bought the farm in 1915. Back then, it would have been far more mixed: soft fruit, apples, hops, sheep and cereals. "A typical Wealden farm," says Eastwood. 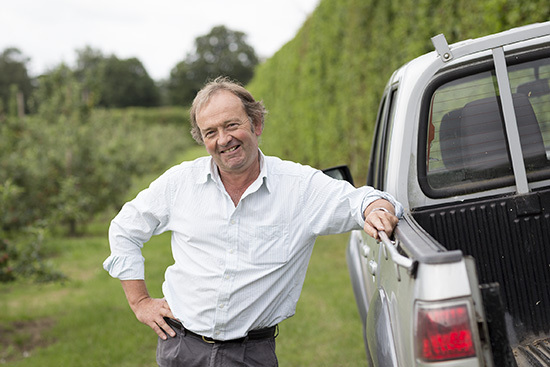 "But as things have progressed you have to specialise in one crop ... I could see more of a future specialising in fruit." Nowadays, he explains, you need a very large farm to turn a profit on sheep or cereals. 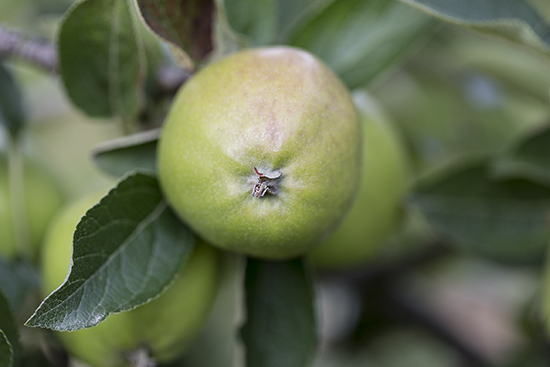 Eastwood was one of the first growers to trial the Braeburn variety in 1987. He sells around 40% of his total fruit crop via the wholesaler H G Walker, run by Eddie Barrett here at the Market. It's been a long working relationship, lasting several decades. "Eddie has complete control of my fruit in Covent Garden. Walker are very supportive of English growers. They will only buy Italian Braeburn when I have run out." Eastwood voted out in the recent EU referendum, despite the fact that he employs migrant workers to help on the farm. "We have a lot of people coming over - mainly Polish. 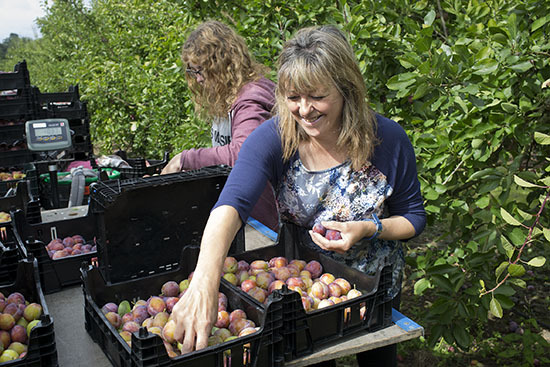 It's a lovely atmosphere," says Claire Quinton, his partner and one of the pickers on my visit. These workers, many regulars on the farm, are part of the team. But it is the competition from abroad that is Eastwood's overriding concern. "I voted out because of cheap imports coming in." 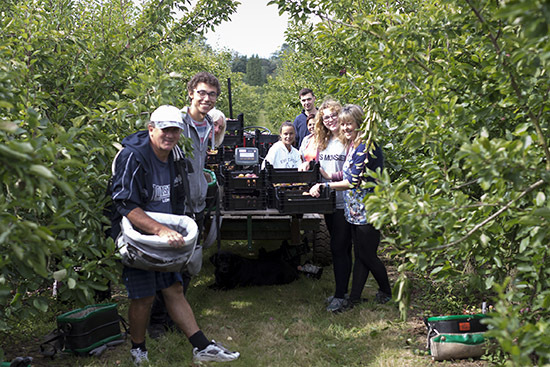 Polish apple growers, for example, typically pay their workers a fraction of the wages here in the UK. "In 2-3 years' time we will have £9 per hour pushed on us. We can't compete. The biggest cost is labour." 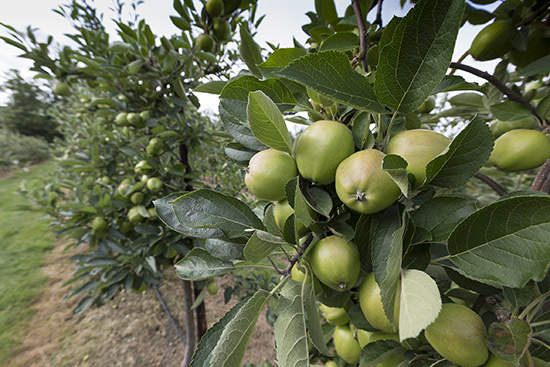 The recent drop in Sterling is a small positive, increasing the cost of imported apples. 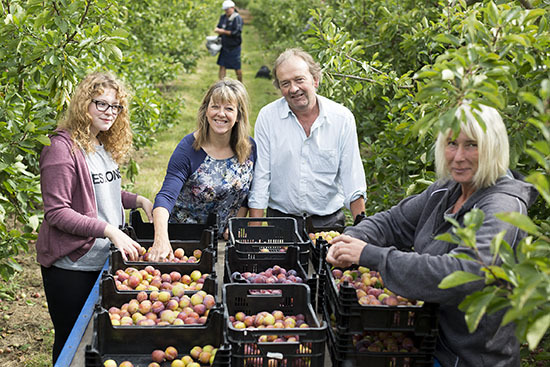 As we tour the orchards, Eastwood explains the key factors for a high quality harvest. Size is crucial. Eastwood tends not to deal with the supermarkets. With apples, for example, the supermarkets prefer smaller fruit and he makes less of a return. 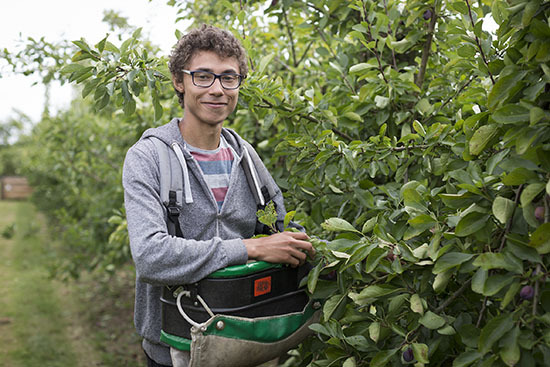 Catering companies, in contrast, typically demand a larger diameter of 70-75mm - so his aim is to encourage his trees, via thinning and pruning, to produce as many fruit at this saleable size as possible. Picking time is also a key factor. Plums do not store well. Wholesalers prefer this fruit to be picked a few days before it's fully ripe, so they have a longer period in which to transport and sell it. 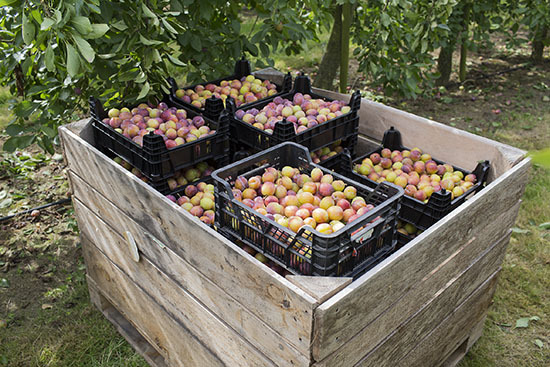 Eastwood will typically do four picks per tree to harvest the fruit at its best, quickly refrigerating the crop to remove "field heat" to control the speed of ripening. Apples, on the other hand, can be stored far longer using his CA (Controlled Atmosphere) fridges, with reduced levels of oxygen. Eastwood is careful to pick at just the right time to give him maximum flexibility in terms of how long he can potentially store the crop for sale. I meet one new picker, who started just a month ago. "Eye-hand coordination" is the main skill to learn, Max says, who is enjoying the work outdoors. On a sunny day in August, Eastwood's farm is a joy to visit. With trees laden with fruit, there is a palpable sense of anticipation and pride at a job well done.